I am greatly astonished, as well as greatly saddened, to see this author of the Ekatonaetiridon hiss forth - woe is me! - that the writings of the great Dionysius are supposititious and were made at a later date. 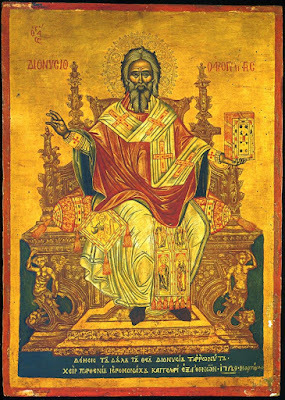 If he does not reverence Maximus, Sophronios, Andrew, the Damascene, Soudas, Syncellus, Pope Agathon, and many other Fathers who accepted the writings of the divine Dionysius to be authentic, the blessed one should at least reverence the two Ecumenical Synods, namely the Sixth, where he is mentioned in its sixth act, and the Seventh, where Saint Dionysius is referred to in its second and fourth canons, and calls Dionysius "Great". A local Synod of Rome which gathered under Martin against the Monothelites also mentions him. 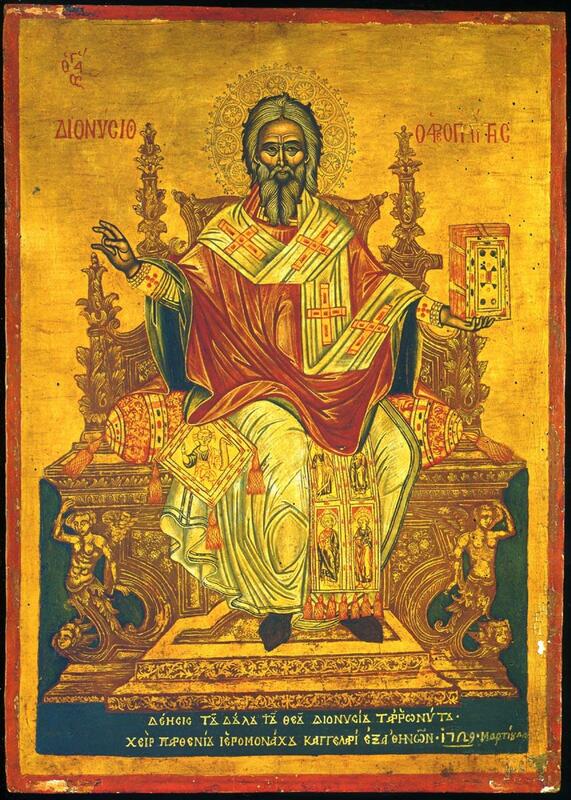 The Ecumenical Synods were born in truth, and cannot err. All men as individuals are born in falsehood, with the ability to err, while numerous are called wise and lovers of wisdom.